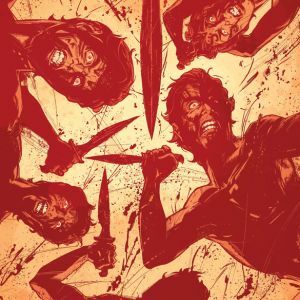 Nearly one hundred and twenty years after the 300 held off the mighty Persian empire at Thermopylae, three helot slaves do the unthinkable: In one blood-soaked night, they rebel against their Spartan masters. 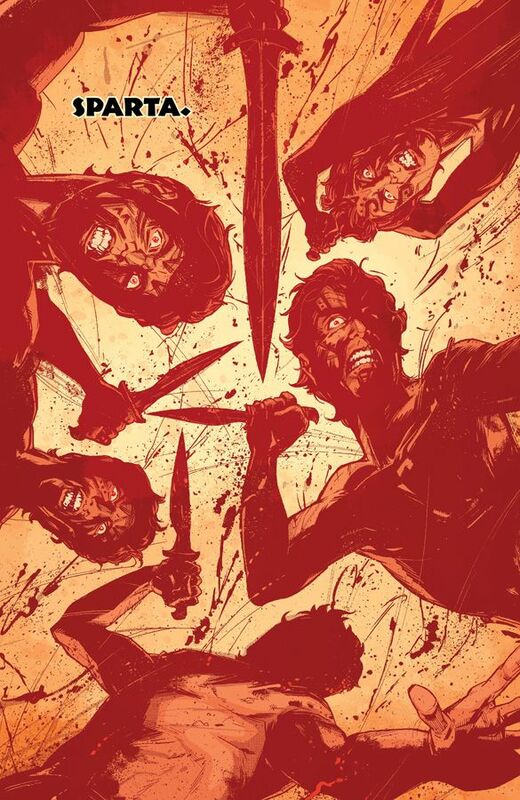 Three helot survivors — Klaros, Demar, and Terpander, the eponymous three of the April Image Comics graphic novel THREE by Kieron Gillen and Ryan Kelly — survive the slaughter and run. 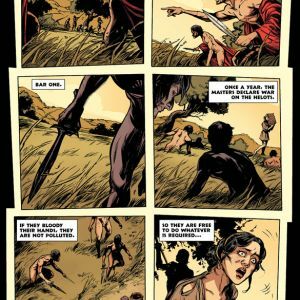 To save the reputation of Sparta, three hundred warriors set out to capture and kill them. 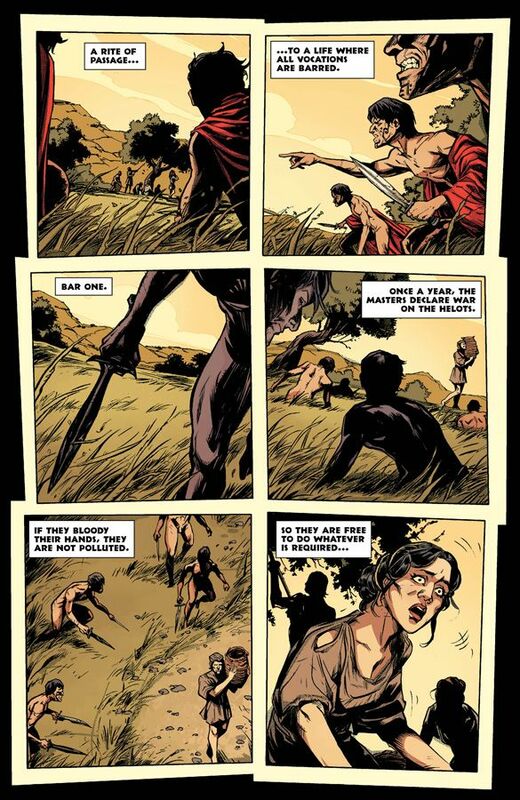 The desperate helots and their determined, brutal pursuers leave a trail of blood across Greece. 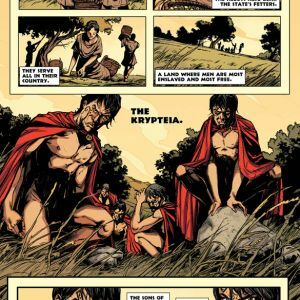 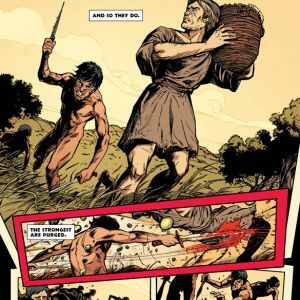 Writer Gillen (PHONOGRAM, Young Avengers) and artist Kelly (Lucifer, Local) consulted with Professor Stephen Hodkinson from the University of Nottingham to accurately capture an era of Spartan history when the city-state’s power was waning. 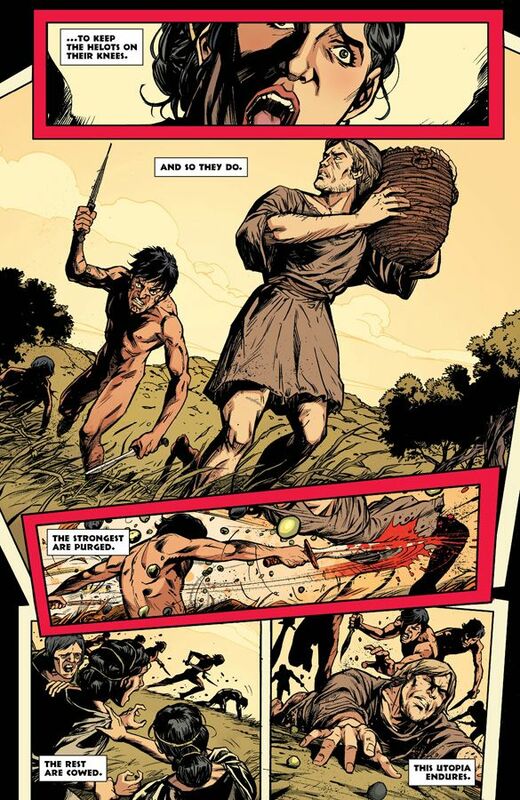 The graphic novel includes an interview with Hodkinson, as well as annotations. 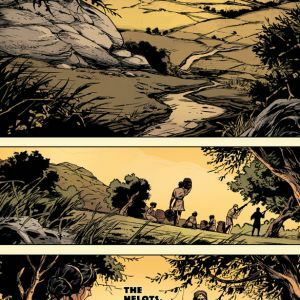 However, just as important as historical accuracy in THREE is emotional truth. 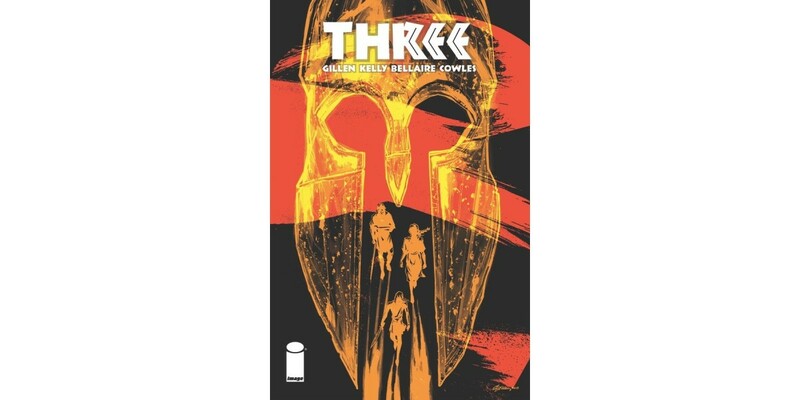 With heavy inks and earthy colors splashed with red by colorist Jordie Bellaire depicting this story of violence, tyranny, and freedom, THREE is a work of intensity and humanity. 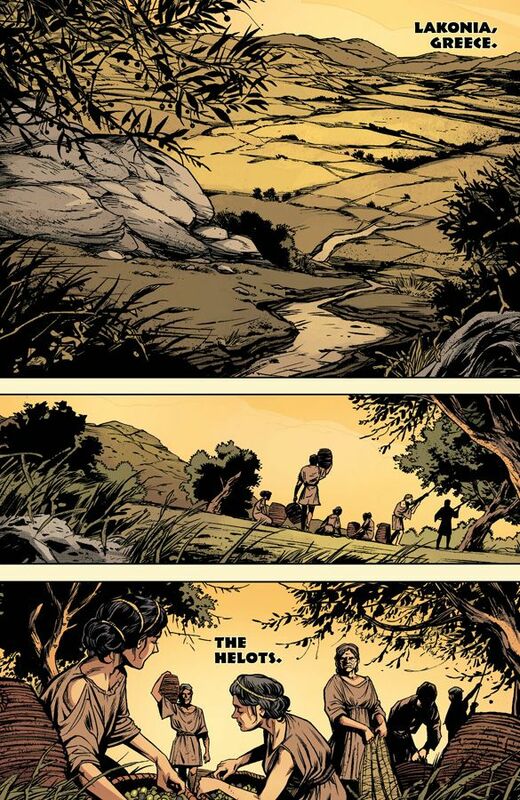 THREE collects the five-issue miniseries published by Image Comics in October 2013 through February 2014. 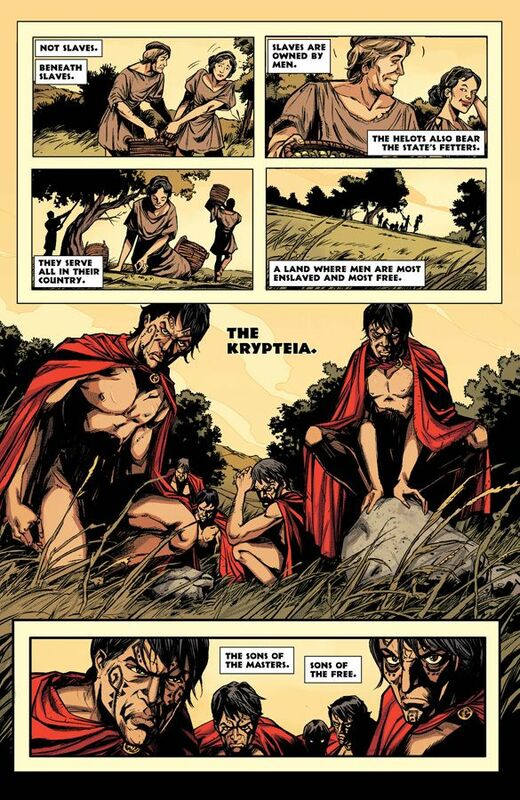 It will be in comic book stores on April 9 and bookstores on April 22.